I made a short video from the video clips I shot of our New Year celebration in Manila. I did this just for fun, and for our relatives to see how much fun we have on welcoming the new year! Song by Katy Perry, entitled Firework. Fits perfectly, really. Here's another video showing how long it takes for 2 Sawas (a long link of firecrackers), linked together, to finish. And a short one of a high altitude exploding firework. 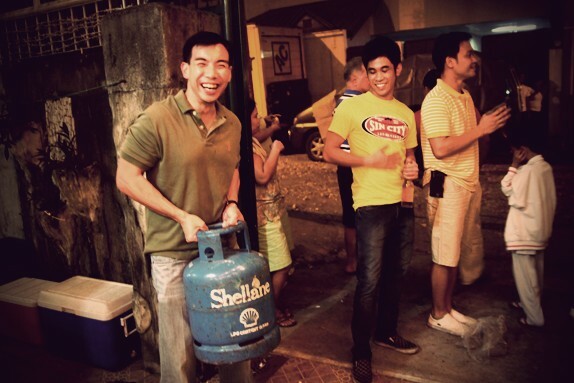 And here's my cousin Leon, carrying an LPG Gas tank for our New Year Grand Explosion Finale! lurker The song is bagay.